17 years ago, Board member Kim Brizzolara founded the Films of Conflict & Resolution section. Ever since, this program has been dedicated to showcasing films that deal with the complex issues and societal effects of war and violence, and the attendant human dramas, in creative ways. The films in the program, including four feature documentaries and a program of short films, call on the audience to learn, react, and engage in worthy causes. The program recognizes one of the films in the series with a cash prize of $5,000 from the Brizzolara Family Foundation and a panel discussion after its screening, encouraging dialogue and action. 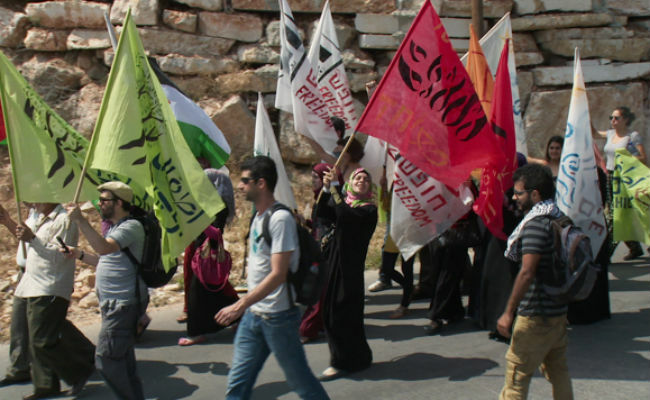 The stirring documentary DISTURBING THE PEACE, from award-winning director Stephen Apkon and Academy Award®-nominated director Andrew Young, follows a group of Israeli soldiers and Palestinian fighters who bravely transition from former enemies to peace activists. Moving away from the protracted conflict that has caused nothing but disruption and tragedy in their own lives, they decide to form “Combatants for Peace,” a bi-partisan organization whose main goal is finding a peaceful resolution to the conflict. Their transformational journey is a testament to the courage necessary to challenge the status quo despite the resistance encountered along the way. Immediately following the screening, a panel of distinguished guests and film subjects convened to discuss the issues in the film. Tickets to the screening included the panel. 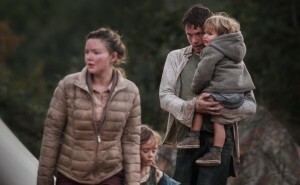 Berlin Golden Bear-winning documentary FIRE AT SEA is a beautifully crafted and poignant depiction of the European migrant crisis told from the perspective of a twelve-year-old boy. 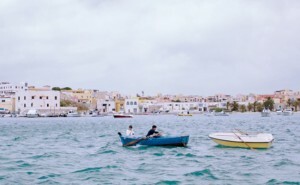 The sleepy Sicilian island of Lampedusa has transformed into the primary transit point for migrants dreaming of freedom and a better life in Europe. Gianfranco Rosi masterfully shapes the story around a lively local boy, Samuele, who seemingly lives a normal life amid the chaos on the island. Rosi skillfully juxtaposes his mundane activities over the tragedies unfurling daily in the background on the island. The three short films selected for the Films of Conflict & Resolution will screen together in a 78-minute program at HIFF 2016. 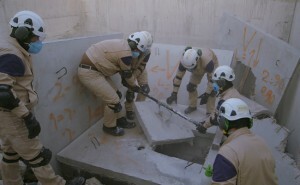 Having chosen to remain in the war-torn city of Aleppo, the volunteer rescue group the White Helmets heroically risk their lives to aid their neighbors.